World famous German born artist, Niclas Castello is taking over Guy Hepner with his unique neo-pop luxe style exhibition, and at the touch of a button! 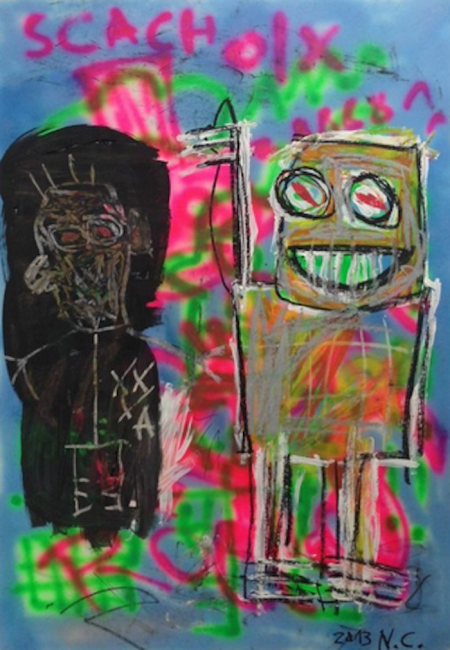 Most famous for his colorful paintings and sculptures which include his own neo- expression, he fuses popular culture with advertising and branding. 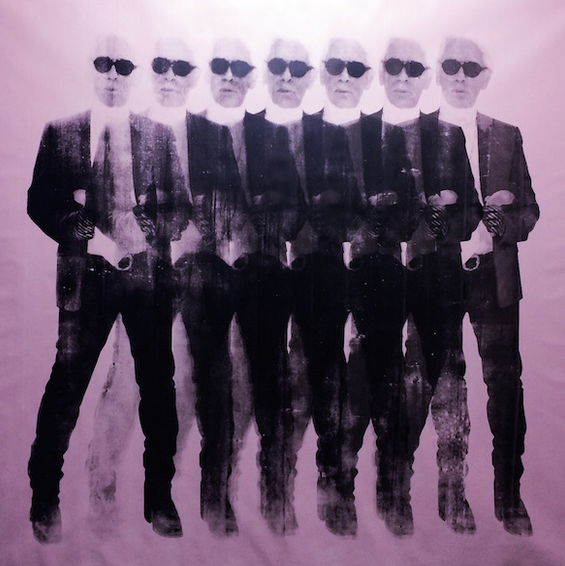 Using luxury brand names such as Chanel, Louis Vuitton, Yves Saint Laurent, Bugatti, Ferrari, Gucci, Hermes Paris, Lamborghini and recently, none other than Fashion Legend Karl Lagerfeld (such as the screen print below), Castello brings a new language to contemporary art. It was in 2004 when Niclas Castello decided to move to New York City where he would be first recognized by art performer and pioneer, Arleen Schloss. Immersed with her mentoring support and his passionate inspiration from NYC, Castello´s distinctive style was born. 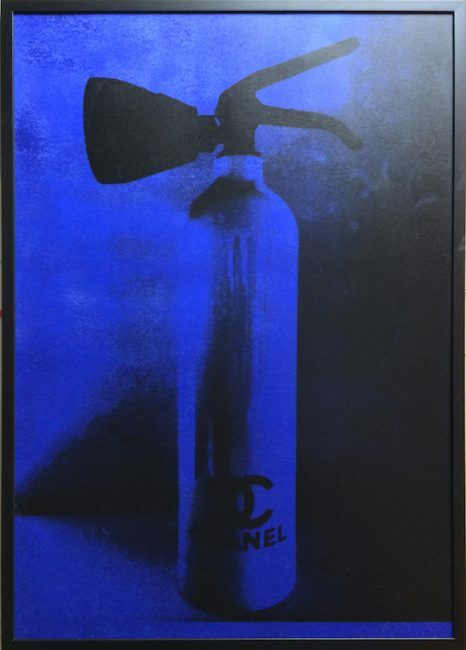 Niclas Castello’s famous Chanel Extinguisher Limited Edition Screen prints, tribute artists from the Dadaist and surrealist movements. He takes a functional object of daily life and turns it into an artwork. Normally the fire extinguisher is an object one hides, due to its esthetics and negative connotation such as fires and burning, however, Castello turns it into an icon of neo-pop art using luxury brands and makes it an object to show off. In only a few years, Niclas Castello has become one of today’s most respected contemporary artists worldwide. 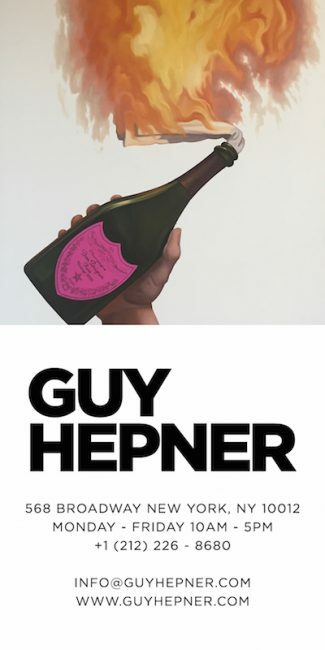 He has captivated the art world like no other and is now named in the same breath as today’s best known contemporary artists such as Andy Warhol, Gerhard Richter, Jeff Koons or Damien Hirst. Browse here to view the exclusive offers by Guy Hepner for sale of Niclas Castello sculptures, prints, and paintings. Inquire today about Niclas Castello art prices or browse the shop to buy select Niclas Castello prints online here.